Come along to our first free floor talk for 2019, with speakers Dr Kirrily Moore, Collections Manager, Invertebrate Zoology, and Dr Simon Grove, Senior Curator, Invertebrate Zoology. TMAG’s invertebrate zoology collections encompass the landmass of Tasmania and the seas surrounding it. 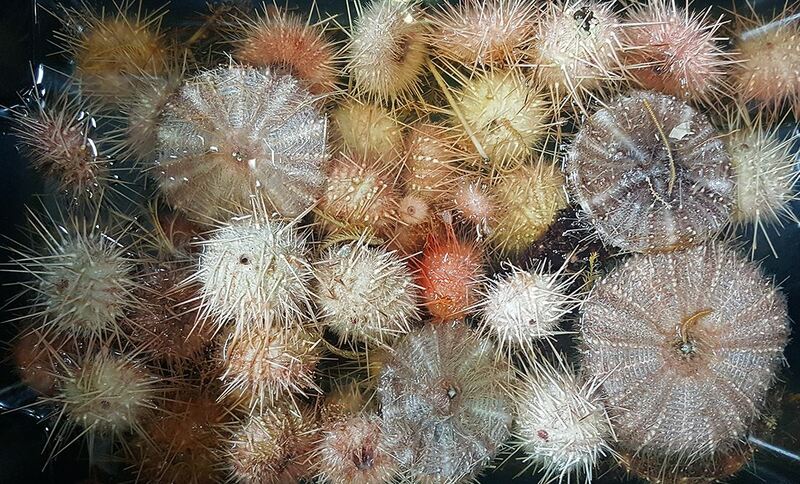 Opportunities to collect deep-sea specimens don’t come around very often, so TMAG zoologists Kirrily and Simon jumped at the chance when they were invited to participate in a recent CSIRO-led voyage on board the RV Investigator. The voyage explored the deep-sea coral reefs flanking the sea-mounts beyond the continental shelf to the south of Tasmania. Their talk will give an overview of the science, with a particular focus on their respective areas of expertise (corals and molluscs); plus some insights on what it’s like to live and work on board a modern research vessel out on the high seas. This is a great opportunity to hear from our TMAG scientists.